The smooth, perfectly round barrel of this popular artist's pencil encourages easy movement and expressive drawing. The pencil's composition is soft but not crumbly, with a slightly waxy texture for easy blending and shading. The 4 mm diameter color strip allows naturally broad strokes and strong lines. By simply adding more pressure on the paper, color strength can be varied from faint and delicate to bold and intense. 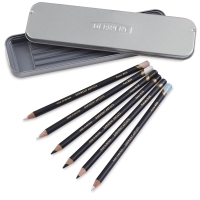 Black and White Colors, Set of 6 — This unique set of six warm and cool tones can be blended easily to build up subtle tones and hues. 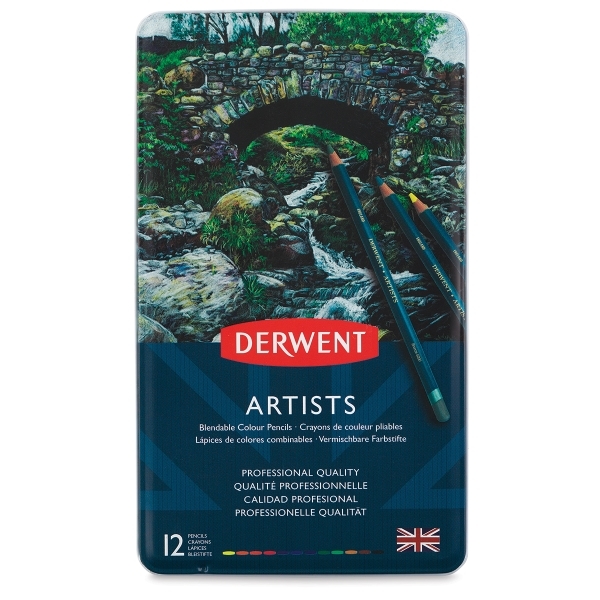 Use them for bold contrasting work, portraits, or detailed illustrations. The set includes one each of Pure, Arctic, Oyster, Raven, Midnight, and Forest, in a metal tin.